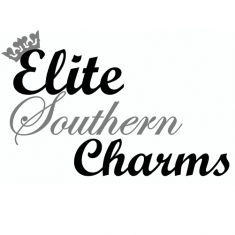 Elite Southern Charm began in 2002 as a much smaller pageant system. Designed to empower young women by allowing as many opportunities, awards, and life changing experiences as possible. Thereby, building self- confidence, an improved sense of self-esteem and accomplishment. In life, it is so easy to feel self-defeated ..... Our mission is to build up young women and let them know how truly beautiful they are! We will be traveling the Southern States to give each and every child and young woman the opportunity to be a part of this wonderful experience. Each contestant can be in our Photogenic Contest, Talent Competition, Model Search, and our Miss Elite Southern Charm Senior and Collegiate Contestants may also submit a You Tube video to audition for the role of "Spokes Model" for their state, How Exciting! !